Size: 1.2m x 1.2m. Four shelves. 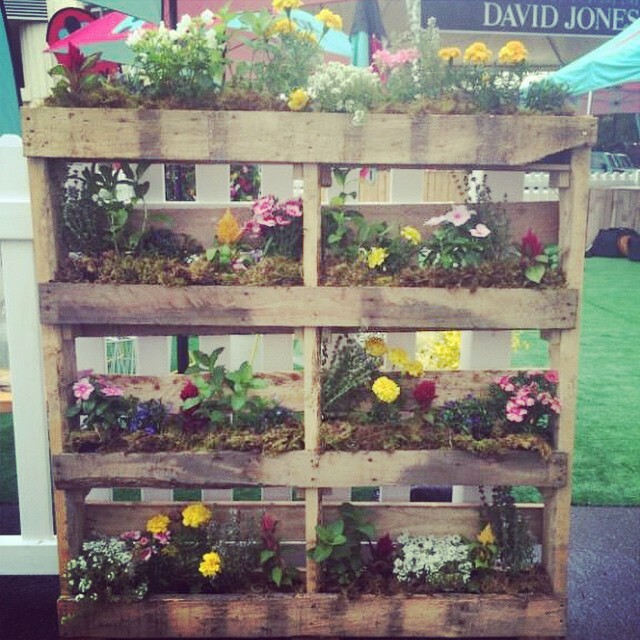 Free standing recycled pallet vertical garden. Various plants or flowers available to suit theme.